In this chapter you will learn how to create common S3 class methods such as print(), summary(), and plot(). Until now we have a toss() function that produces objects of the homonym class "toss". Right now this type of output is basically a list. For instance, consider a Mexican peso with two sides: aguila and sol. And let’s use toss() to flip a peso 15 times. #>   "aguila" "sol"    "sol"    "aguila" "sol"    "sol"    "aguila"
#>   "sol"    "sol"    "sol"    "sol"    "aguila" "sol"    "sol"
Every time you type in the name of an object "toss", like volados in the previous example, the output is displayed like any other list. 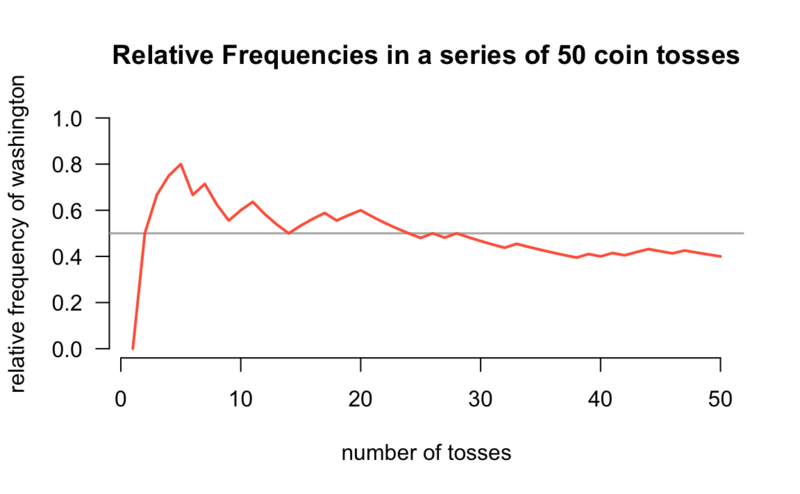 R displays the values of $coin and its attributes (attr), the $tosses, the $total, the number of $heads and $tails, and finally the class attribute. # print method for object of class "toss"
By convention, print methods return the value of their principal argument invisibly. The invisible function turns off automatic printing, thus preventing an infinite recursion when printing is done implicitly at the session level. For most purposes the standard print method will be sufficient output. However, sometimes a more extensive display is required. This can be done with a summary function. To define this type of method we use the function summary(). The way you declare a summary method is similar to the way you declare a print method. You need to specify summary.toss, indicating that there will be a new summary method for objects of class "toss". The summary will return an object of class "summary.toss", which is typically a list (although you can return any other type of data object). When implementing summary methods for specific classes, there’s actually one more method that you typically have to create: a sibling print.summary method. The reason why you need these pair of methods is because an object "summary.toss"—returned by summary()—will very likely need its own print method, thus requiring a print.summary.toss() function.